Press Note for the ENVI Workshop on “Cardiovascular Diseases and Lifestyle”, Tuesday 09 October 2018, 9:00 to 11:00, Altiero Spinelli building, room ASP3G2, European Parliament Brussels. Click here for a link to the press release. EHN, EPHA and Freshfel Europe ask Commissioner Hogan for concrete mechanisms to support the future CAP’s objective of healthy sustainable diets to achieve a triple win for economy, environment and health. The European Heart Network (EHN), the European Public Health Alliance (EPHA) and Freshfel Europe have today written to European Commissioner for Agriculture and Rural Development Phil Hogan asking for concrete mechanisms and sufficient budget to support the European Commission’s Communication on The Future of Food and Farming’s prominent objective of healthy sustainable diets. In the letter, the three organisations affirm that through a smartly designed future CAP, the EU can address its citizens’ concerns and achieve a triple win for economy, environment and health. Representing the European fresh produce industry, as well as NGOs, foundations and groups working to prevent and reduce cardiovascular diseases and give a voice to public health in Europe, the three organisations have called on Commissioner Hogan to ensure that the future CAP has a positive impact on promoting healthier nutrition to EU citizens through sustainable agricultural production. The letter proposes that as the Commission’s Communication on The Future of Food and Farming has clear intentions to include health and nutrition considerations in the future CAP’s regulatory framework, “the EU can only go forward with a CAP that has healthy sustainable diets as a prominent objective” where these intentions are “translated into concrete mechanisms with sufficient budgets”. Significantly, the letter to Commissioner Hogan refers to the UN Sustainable Development Goals, which the EU has adopted, including the goal to reduce by one third premature mortality from chronic diseases and promote mental health and well-being by 2030. The three organisations state that, “what and how we produce and promote food is decisive to achieve this goal as many of the major chronic diseases, such as heart disease and stroke, are diet related”. Currently chronic diseases impose a high cost to the EU economy – the OECD estimates a cost of at least EUR 115 billion. Yet despite the WHO recommendation for a minimum daily intake of 400g per capita of fruits and vegetables per day, and the EU promotion policy and EU school fruit and vegetable scheme, the average consumption level of fresh fruit and vegetables in most Member States is under 400g. EHN, Freshfel Europe and EPHA affirm that by helping EU citizens shift towards a higher level of consumption of plant-based foods, the CAP can help achieve the uptake of healthy sustainable diets across all Member States. This would benefit at the same time the EU economy, address the EU’s environmental challenges and promote health. On World Heart Day 2017, the European Heart Network published its paper on Transforming European food and drink policies for cardiovascular health. Here is the link to the press release. The publication of the new report on European Cardiovascular Disease Statistics 2017 will be the basis of a debate today in the European Parliament in Brussels. According to a report issued this St. Valentine’s day by the European Heart Network (EHN), cardiovascular disease now costs the EU economy ‚¬210 billion a year. 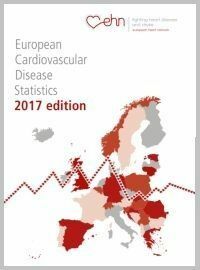 The report, the fifth edition of European Cardiovascular Disease Statistics, confirms that the fall in death rates from heart disease and stroke over recent decades is a sustainable trend. A development welcomed by the EHN which plays a leading role in the prevention and reduction of cardiovascular disease through advocacy, networking, capacity-building and patient support. However, the report also confirms that considerable inequalities in the burden of these diseases persist across the European region. "The European Response to Chronic Diseases - the Role of Civil Society"
In the past decade, international leaders and health advocates have consistently fought to put non-communicable chronic diseases (NCDs) on the global agenda, not only the health agenda, but on top of the priorities that must be tackled with a Whole-of-Society, “health in all policies” approach. It resulted in a UN resolution, a WHO action plan and various other initiatives at European and international level. Member States and the European Union have committed to a 25% reduction of preventable NCDs by 2025. On 1 December the event “AVMSD: What about our Kids?” takes place in the European Parliament, hosted by MEP Daciana Octavia Sá¢rbu and organised by a coalition of ten organisations. The event gathers experts from a wide range of backgrounds to discuss the effects of marketing on children’s behaviours, tools to reduce child exposure to commercial communications for unhealthy food and alcohol and the effectiveness of self-regulatory schemes. Speakers include WHO Europe, European Commission, academia, healthcare payers and a wider panel for debate. The European Heart Network (EHN) congratulates the European Parliament for adopting a Resolution on trans fatty acids (TFAs). EHN supports the European Parliament’s call on the European Commission to establish an EU legal limit on industrial TFAs and that as soon as possible. The Mexico Declaration for Circulatory Health, the first ever global declaration on heart health, was made on 5 June 2016 at the WHF World Congress of Cardiology & Cardiovascular Health 2016. 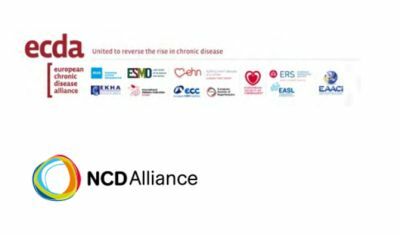 The declaration is recognition that, unless health professionals, governments, businesses and the public find a common voice that paves the way for much-needed action now, the number of premature deaths as a result of cardiovascular diseases (CVD) will keep increasing. The European Heart Network has received co-funding under an operating grant from the European Union’s Health Programme (2014-2020). The content of this website represents the views of the author only and is his/her sole responsibility; it cannot be considered to reflect the views of the European Commission and/or the Consumers, Health, Agriculture and Food Executive Agency or any other body of the European Union. The European Commission and the Agency do not accept any responsibility for use that may be made of the information it contains.